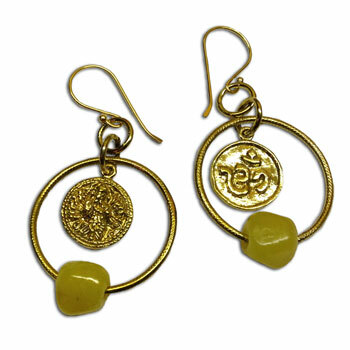 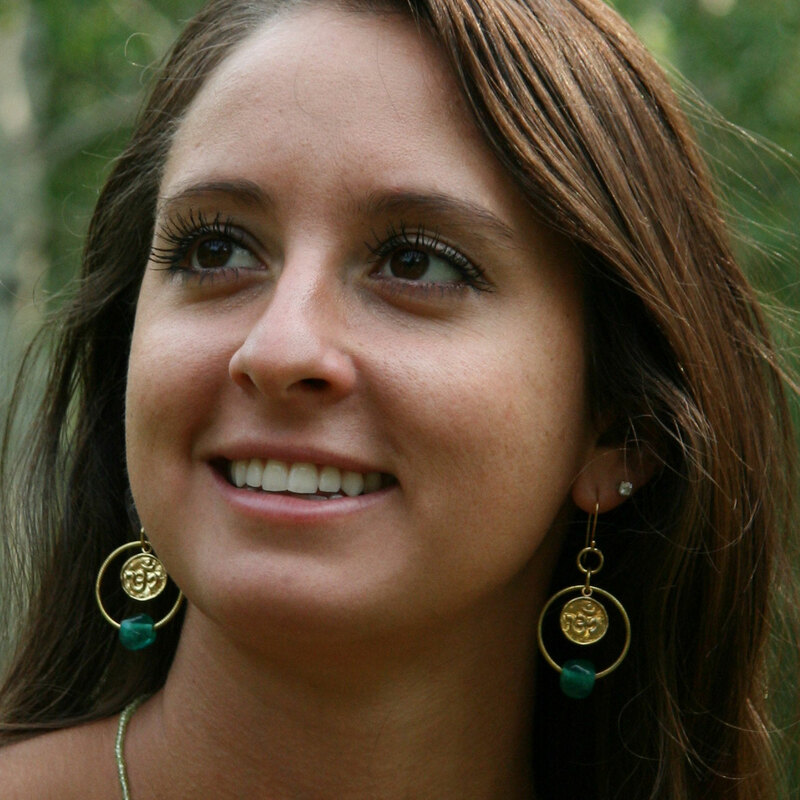 Double-sided earrings with om and ganesh. 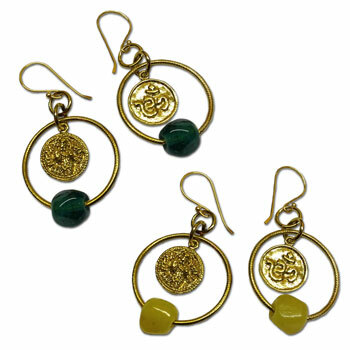 Choose from two colors: ice green and yellow. Made of recycled brass and recycled glass. The earrings hooks are made of sterling silver plated with gold. 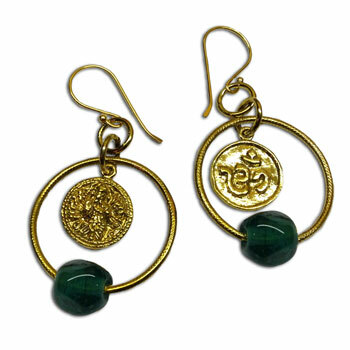 length excluding ear hook 1.5 inches / 4 cm, 10.5 g.